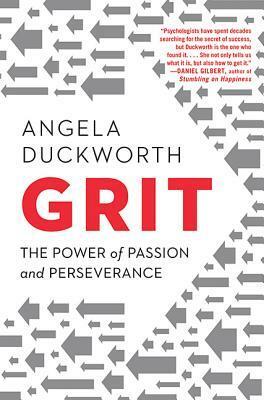 Grit is a book about the power of passion and perseverance. No matter who you are—an athlete, a businessman, a student, a parent—this book has advice for you. It doesn’t matter whether you have the raw talent to succeed in your chosen field or not; all that matters is whether you put the necessary effort in, and how you put that effort in. We have drawn on the knowledge and advice given in this book and compiled a list of actions for you. If you want to achieve success, learn more about yourself, or hone your parenting skills, these actions will be incredibly useful. Angela Duckworth, PhD, is a 2013 MacArthur Fellow and professor of psychology at the University of Pennsylvania. An expert in non-I.Q. competencies, she has advised the White House, the World Bank, NBA and NFL teams, and Fortune 500 CEOs. Prior to her career in research, she taught children math and science and was the founder of a summer school for low-income children that won the Better Government Award from the state of Massachusetts. She completed her BA in neurobiology at Harvard, her MSc in neuroscience at Oxford, and her PhD in psychology at the University of Pennsylvania. More recently, she founded the Character Lab, a nonprofit whose mission is to advance the science and practice of character development in children. You have the power to achieve your goals. Teach your kids to be gritty.